Spring is here, and with spring comes spring cleaning! Do you have a car sitting around that you’re not using and have been thinking about donating? Catholic Charities of Santa Clara County is here for all of your San Jose car donation needs! In this blog post, we will look at a few reasons why you should include car donation as part of your spring cleaning routine this season! While supporting most any charity is a good thing to do, most people feel a specific sense of positivity when donating to a charity that’s based in their local community. Perhaps they are able to see the needs of the community better because they live there, and maybe they are more able to address the specific needs of people within the community, but by donating your car this spring, you will be able to make a difference on a local level. Not only will you be helping an organization that’s based in your community, but also the people who live there. We are all equals, and if you were to find yourself needing the assistance of a charity, you would be incredibly grateful for the others in your local community who support it. Maybe you’ve had it sitting in your garage or on your property for years, but you can’t deny the fact that a car, especially one that you don’t need, takes up a considerable amount of room. Use this year’s spring cleaning as an opportunity to finally get rid of that old car that’s sitting around gathering dust and free up some space in your garage or on your property. Once it’s gone, you’ll realize how much space has been going to waste in the time that your car has just been sitting unused. Finally, you’ll have room in your garage for more storage, easier mobility or a place to work on projects. You can finally have the work area you’ve always wanted, or be able to hang bikes on the wall. By donating your car to us, you will be doing yourself a favor by freeing up some much needed space. Besides being able to free up a little space in your home and on your property, donating your car also comes with the added benefit of supporting a good cause. Catholic Charities of Santa Clara County works hard to serve the greater San Jose area by helping the unemployed, senior citizens, displaced refugees and a wide variety of others in need. These are all people who are greatly in need of assistance, and by donating your car to our organization, your donation will go towards directly helping those who need it most. Those are just a few reasons why your spring cleaning routine should include car donation this year. Catholic Charities of Santa Clara County aims to be your charity of choice for car donation in San Jose, and your generous donation helps us provide families with food, assist individuals in finding work, aid displaced refugees and more. 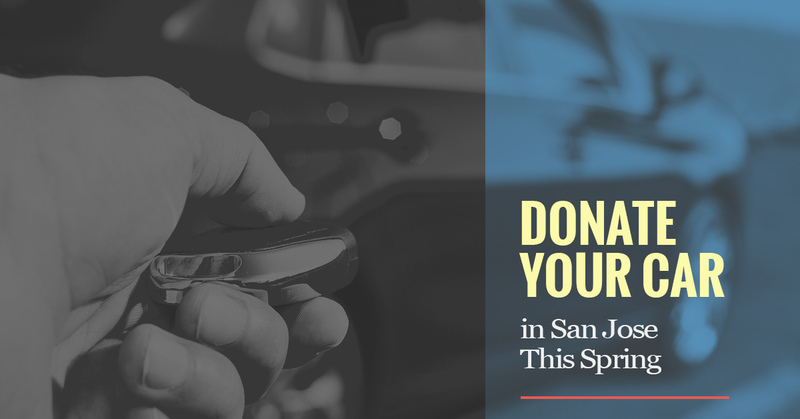 To learn more about our San Jose car donation services, contact us today!